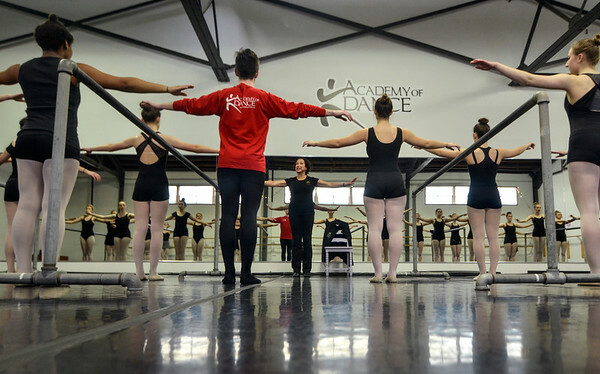 Masterclass: The Academy of Dance's intermediate and advanced ballet classes were treated to a special instructor on Monday. Virginia Johnson serves as the Artistic Director at the Dance Theatre of Harlem, but on Monday afternoon she was in Terre Haute and joined the group of young dancers for a lesson. Johnson is in town for a show at Rose-Humlan's Hatfield Hall tonight at 7:30 p.m.. Johnson said she is looking forward to tomorrow night's performance because "There is going to be something for everyone, each dance is so different." Johnson shared her vast dancing knowledge with the Academy of Dance through an in depth lesson.